When one thinks of Pinot Noir, Tasmania is likely not the first country that comes to mind! However, Pinot likes cool climate, and in fact Tasmania, the island south of the continent of Australia, boasts a climate entirely suitable to this think skinned grape. Abel’s Tempest is named after a Dutchmen navigator who sailed into Tasmania in the 17th century, originally naming the island Van Diemen’s Land, later to be named after him, along with other landmarks within Tasmania! 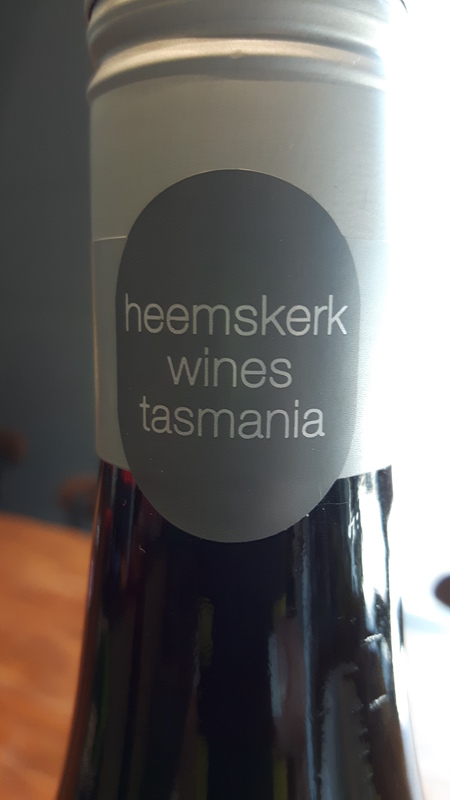 And his ship, the Heemskerk, is also the name of the company that produces this wine. Huh. Not just great wine, but history too! Heemskerk was developed in the early 1970’s, where the potential of the region was recognized. It fell from grace through several ownership changes during the years, but since 2009 has come back around through the vision of a passionate winemaker who happened to be a native of Tasmania. The winery has seen a revival of sorts and the mandate is to use all the modern winemaking techniques of a new world, while keeping the old world influence of the grape itself to make outstanding wine. So, as you can tell by the above, for a sailor/navigator, winds can be negative, (as shown by the waves on the bottle label) but for the grapes growing on the island, it’s a definite benefit! 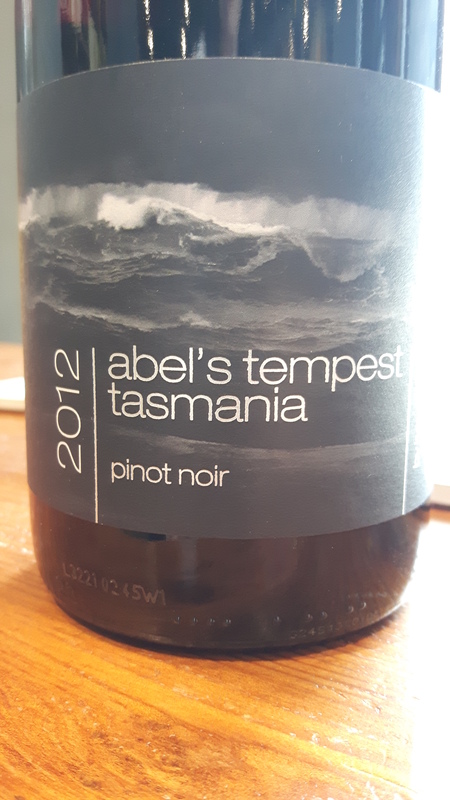 Abel’s Tempest Pinot Noir exemplifies this cool climate in its beautiful fresh flavours of sour red cherry, strawberry, red currant along with hints of floral, earth and spice, complemented by light tannins, a light oaking, and high bracing acidity, which brings great harmonious balance to this wine. A well-made Pinot for sure! I am very picky about Pinot Noir, and this is one that I wouldn’t mind drinking and sharing with others! On the shelf for $36.95. Cheers! This entry was posted in Thirsty Thursday, Varietals, wine and tagged Australia, Pinot Noir, Tasmania, Tempest, thirsty, Thirsty Thursday, Thursday, varietal. Bookmark the permalink.